The colorful history of Round Valley, Arizona, has been meticulously researched and compiled by Jack A. Becker. He has generously made this research available for your enjoyment. Using IE 10 the navigational menu does not display. Jack Becker was a life-long resident of Round Valley, and a descendant of Gustav Becker (one of Round Valley's pioneer settlers). 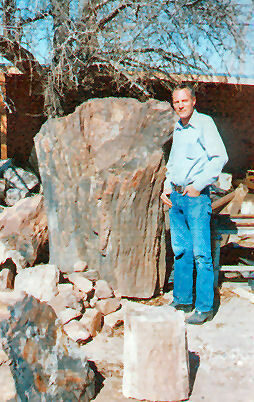 Jack devoted many years to researching the early history and settlement of the area. Webmaster's note: Some of the files as designated by require Adobe Reader. Use the below link to get this free program, if not already on your machine. ©2005 - All rights reserved. The purpose of this site is for historical rememberance. No part of this site may be used for commercial purposes without Carol Becker's explicit written permission . To contact Carol Becker send e-mail to jcbeckerus@yahoo.com with ''RV History" as the subject.